The G5's modular system is gone - now just a footnote to smartphone history. In its place, the fully-sealed G6 is IP68-rated for dust and heavy-duty water resistance, and incorporates a sealed battery, something we haven't seen on a non-Nexus LG flagship since the original Optimus G G2. But that has allowed LG to install a larger 3300mAh cell. 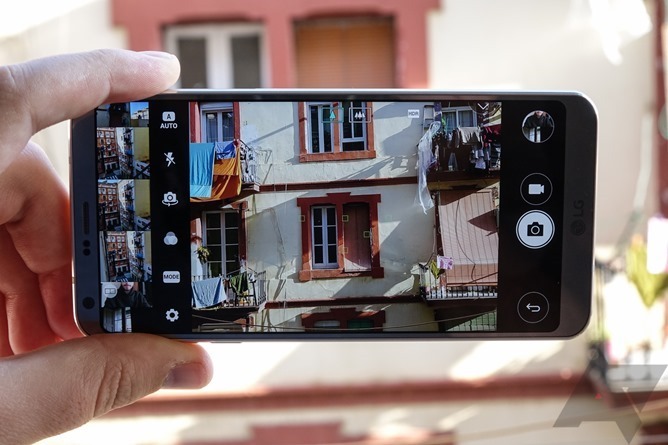 The rear-facing wide-angle camera, a quirky but endearing addition to the G5, has been upgraded to the same 13MP sensor as the standard-angle camera for comparable image quality (it was an 8MP sensor on the G5). The amount of bezel on the front of the phone has been drastically reduced, offering an impressive 80% screen-to-body ratio. There's even wireless charging (for the US only, oddly). The phone itself, LG claims, will be less susceptible to screen breaks, though it appeared that was largely in reference to curved-edge display phones. Anyway, I find the G6 striking almost exclusively for that focus on being what the G5 wasn't - if that makes sense. 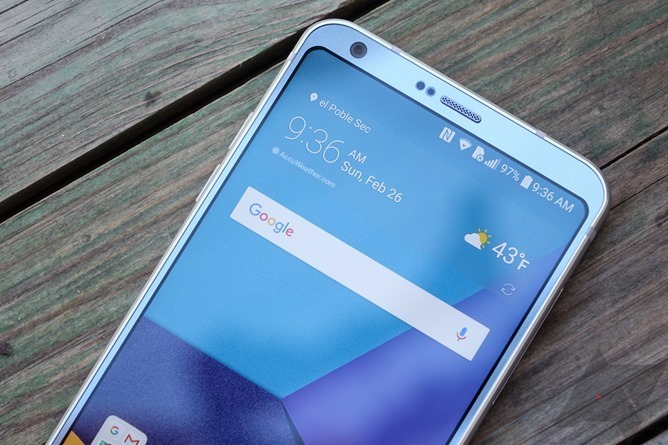 LG seems to have been at such a loss for the G5's commercial and critical failure that it had to issue a sudden course-correction to its smartphone roadmap, and the G6 is what resulted. 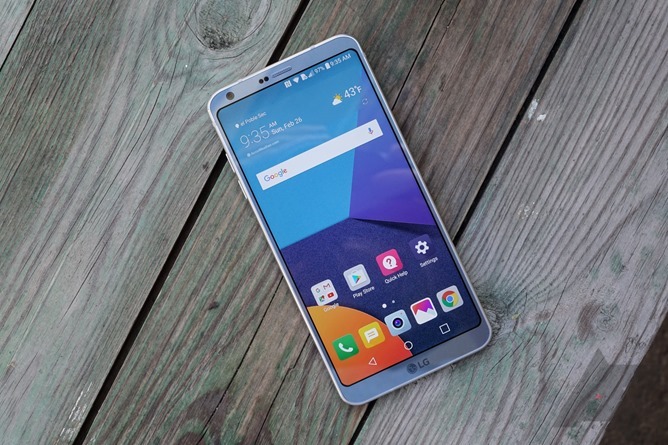 The G6 is a deeply reactionary product, and while reactivity and nimbleness can well be admirable traits in the cutthroat business that is selling smartphones, it is also an approach that can be fraught with peril. 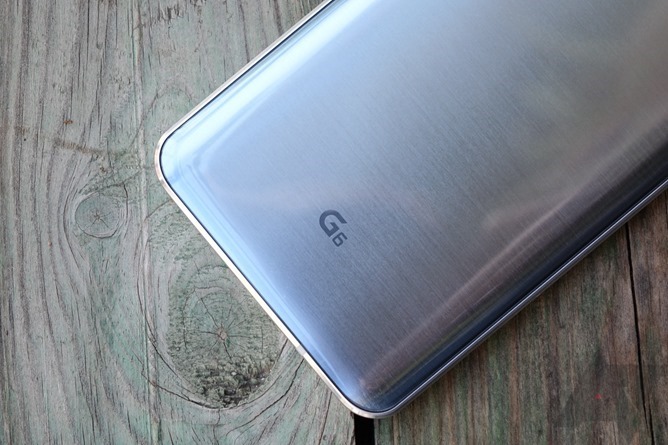 Take, for example, the G6's new glass-and-metal hybrid design. 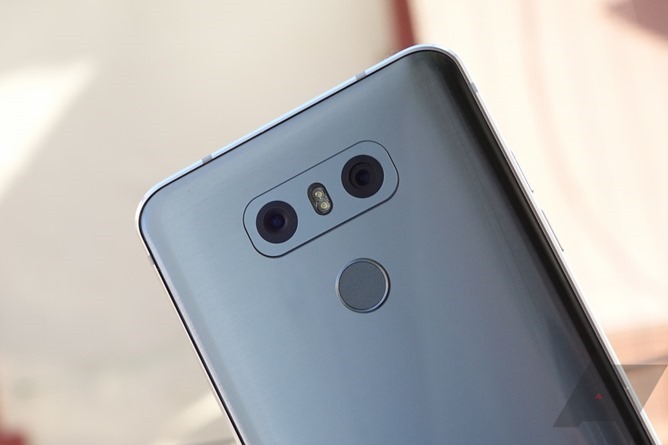 Gone is LG's roundly-criticized "painted" metal, and in its place is a sealed glass rear cover with a metallic foil sitting beneath it - very similar to Samsung's approach since the Galaxy S6. 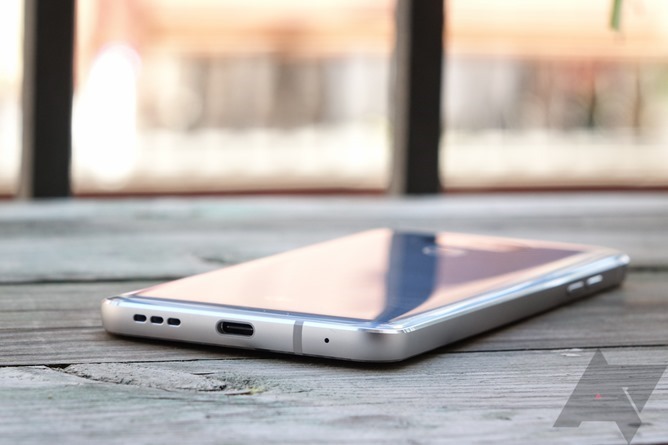 This has created a functional benefit in the form of wireless charging, but that feature will only be available on G6s sold in the United States. Why the change, then? 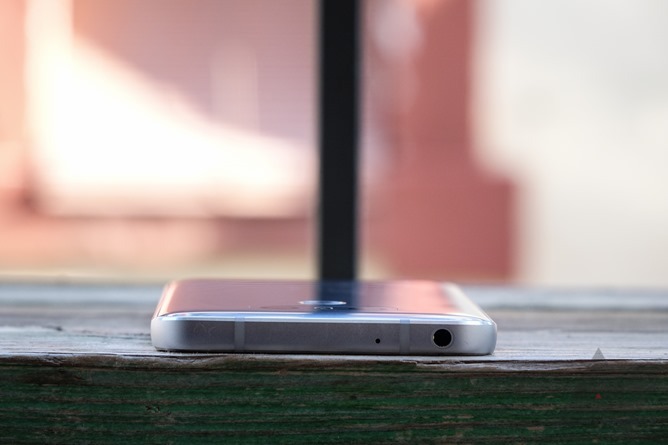 It seems largely to be because people complained about the G5's metallic panel. Glass still allowed LG to preserve a largely antenna-line-free aesthetic, at the obvious cost of durability. So, is the glass itself an improvement over the metal? LG's head of product for the G6 struggled mightily when attempting to answer this question posed by Vlad Savov of The Verge during our briefing, and the answer essentially boiled down to "it's not better, it's just different." This is hardly the sort of conviction I'd expect such a substantial change to be supported by. LG openly acknowledged, too, that axing the removable battery would upset some fans, and hoped the new wireless charging would placate them. How, exactly, does this make sense? LG is able to court those few (apparently residing exclusively in the US) for whom wireless charging is a desirable feature, sure, but I don't see how the dots connect up to the removable battery. If anything, I think the IP68 ruggedization is the more compelling argument, given building a phone of this size to that specification with a removable battery would be nearly impossible. But the case for the removable battery has already been litigated and thoroughly lost - it only makes sense to abandon it in light of other customer priorities like waterproofing, which is a much more widely-desired feature. LG was right to do it, full stop. 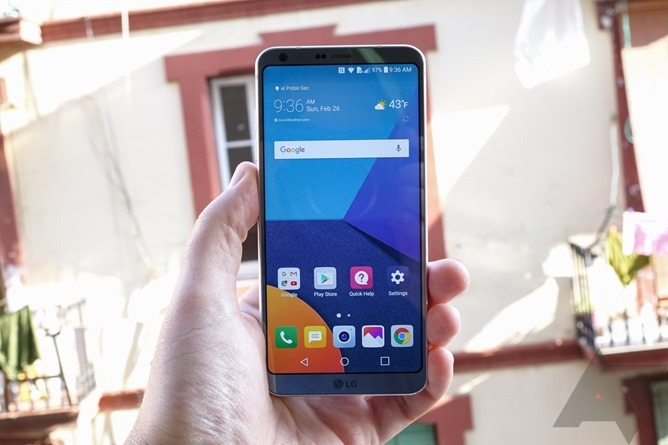 As for the technical nitty-gritty, the G6 is unlikely to shock spec sheet oglers: it has a Snapdragon 821 processor, 4GB of RAM, 32GB of storage, headphone jack, USB-C with QuickCharge 3.0, a 3300mAh battery, and Android 7.1 (our unit has 7.0, but retail devices will get 7.1). Apart from the OS version, this phone could easily pass for one released in 2016 on paper, and while I think hyper-focusing on those specifications is not helpful, there aren't many ways LG can spin that especially positively. The one gambit LG could have is pricing, but I'm not keeping my hopes up on that point. The 5.7" 18:9 aspect ratio screen is certainly the star of the show on this phone, especially given it takes up a full 80% of the face of the device. That makes for some impressively svelte bezels, though I'd hardly call this an "edge to edge" or "bezelless" phone. It's just making very efficient use of space. The rounded corners on the display are nothing if not different, though I'm not inclined to really like or dislike them - they're a bit of eccentric garnish on an otherwise commendable visual presentation. The cameras on the rear have received a minor refresh, mostly in the form of the wide-angle lens now having the same 13MP sensor as the narrow-angle system beside it, but little else has changed. The camera app was given a bit of an overhaul, but most of the new features center around the idea that the wide screen lets you display two square images that fully take up the display at once, and are the very definition of gimmickry. In fact, nothing about the G6's software looks especially noteworthy. 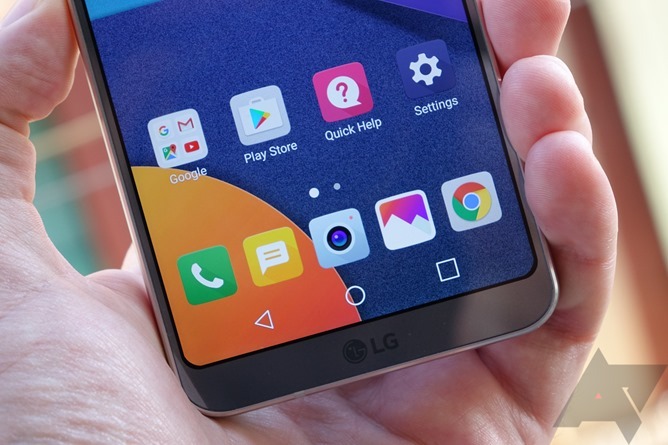 You can take that one of two ways: the first, that LG has a fairly light hand in terms of modifying Android (generally true, in my opinion), or the more pessimistic alternative, that LG isn't interested in producing software innovations. The latter may have some merit, but I've never associated LG phones with groundbreaking UX or novel features, and I'm definitely not weeping over here for the loss of a few presentation slides demonstrating features I'll never use. If anything, it's nice to see LG focus more on the engineering and technical features of a phone. At this point you might be saying to yourself, "that's it?" I won't argue with you: the G6 is a slightly confusing proposition in early 2017, much in the vein of HTC's U Ultra. I understand why the G6 is here and why LG made many of the changes it did (as well as the ones it didn't). 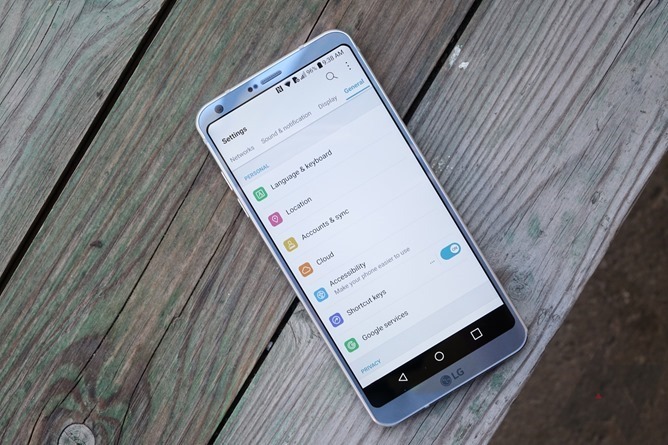 But I can't escape the feeling that this phone, despite its from-2017 bezels and Android OS version, appears more a rebuttal to the outgoing G5 than it does a new dawn for LG's mobile division. I do need to spend some more time with it to really get a feel for what LG's built here, and I'm certainly not condemning the G6 - it seems like a fine phone. But is that enough in the face of juggernauts like Samsung and Apple, or phones-as-value-propositions like the OnePlus 3T? I'll say this: LG's latest phone certainly doesn't have an easy fight ahead of it.